Gerrit Thomas Rietveld, a dutch architect and furniture designer, was born on June 24, 1888 in Utrecht, Netherlands. Son of a joiner and carpenter, Rietveld left school at the age of 11 and got admission at a night school. His father trained him as a cabinetmaker from 1899 to 1906. From 1906 to 1911 he diverted his attention towards jewelry designing in the studio of C. J. Begeer. In 1917 Rietveld set up his own furniture shop and got into learning drawing, painting and model making. After learning these skills Rietveld moved towards studying and practicing architecture and along with this kept working as a self-employed cabinetmaker for eight years. In 1918 he started his own furniture factory and in 1919 commenced his architectural career officially. In addition to his practice, Rietveld also joined the De Stijl movement in 1919. With passing time Gerrit Rietveld started working as an independent architect and due to sufficient contacts he succeeded in exhibiting his works abroad and in 1924 he got the chance to design his first building. In 1928 his personal interests bent towards more functional style of architecture known as either Nieuwe Zakelijkheid or Nieuwe Bouwen. His contributions set a progressive trend in the architectural styles of Europe during 1920s. Most prominent features of all of his projects were discreet lines and planes, dynamically defined volumes, less enclosed spaces, open plans and large areas comprising of glass. After doing a lot of revolutionary work in 1920s, 1930s proved to be the less fortunate years for Rietveld. His architectural commissions became thin but he never stopped designing furniture. From 1936 Rietveld dedicated all his strength and focus to furniture designing and kept working on this area of design until after the Second World War, but again soon after the war he started receiving architectural commissions again and designed some notable buildings and structures. During Rietveld’s career came a time when his work went into declination due to rationalism but right after thirty years the revival of his style from 1920s caused a rebirth of his works. The Rietveld Schröder House later acquired the status of world heritage site by UNESCO and Rietveld also got the honor of exhibiting his work at the Bauhaus. 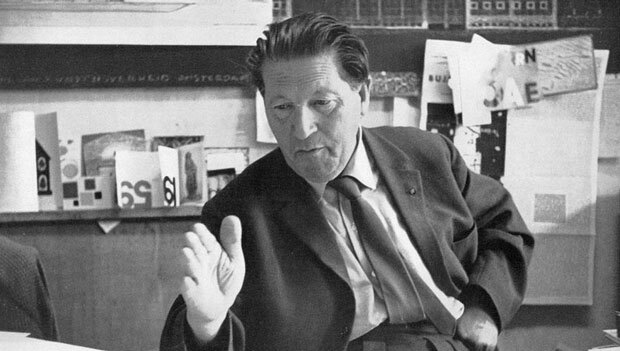 Gerrit Rietveld died on June 25, 1964 at the age of 76 in Utrecht, Netherlands.